Retractable gel pens feature a soft rubber grip, medium point, and wide barrel for writing comfort. Use durable plastic pocket clip to attach to notebooks and pockets. Gel pens contain acid-free, archival-quality ink. Ultra-fast dry ink delivers smear-free writing. 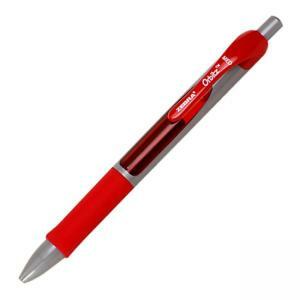 Gel rollerball is retractable and nonrefillable.